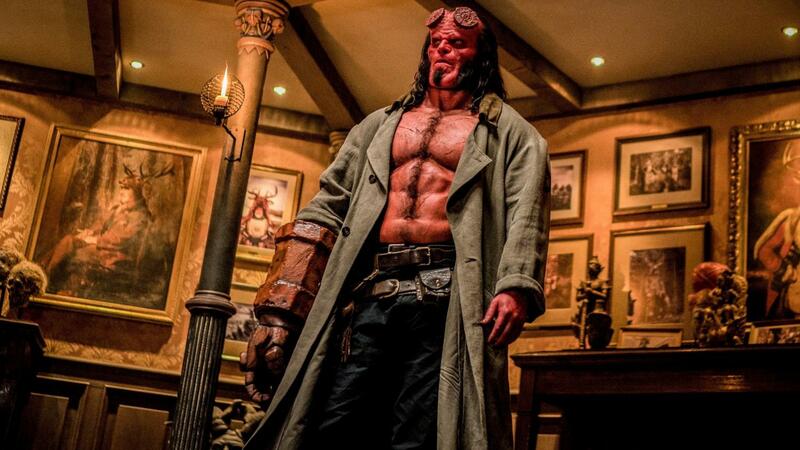 “Hellboy” is one of the most abysmal and distorted comic book films in recent memory. A reboot on the beloved superhero, the film suffers heavily from distorted writing and eerie violence that omits the average viewer. Even though it has a strong lead in its title character, the film is one that struggles to find even a limited audience. Nearly eight decades after being summoned by German forces in WWII, Hellboy lives comfortably amongst humankind where he works with his adoptive father for the Bureau of Paranormal Research and Defence. But even all his experience cannot prepare him from an ancient supernatural threat that means to unleash hell on Earth. David Harbour as Hellboy. Image courtesy of Lionsgate. From the start, the film jumps headfirst into the action where there is little to no explanation for characters or the world. Although providing nice characterization for the title hero, the film seems to be a mismatch of various plot lines, many of which are irrelevant to the main story. This is evidently a writing problem as the film takes nearly an hour to find scenes that are related to the main plot. This is made even worse by sloppy editing early on, seen when the movie constantly jumps from ideas that are significant and those that are not. But in a somewhat saving grace for the film, the title hero is brilliantly brought to life thanks to David Harbour. Harbour completely engulfs himself in the role, able to serve as a worthy successor to Ron Perlman while also heavily expanding the role. His main difference from Perlman comes in his keen energy to convey emotion. This is a character who is not shy to hide his harsh thoughts as he uses comedy to break the tension that humans have around him. 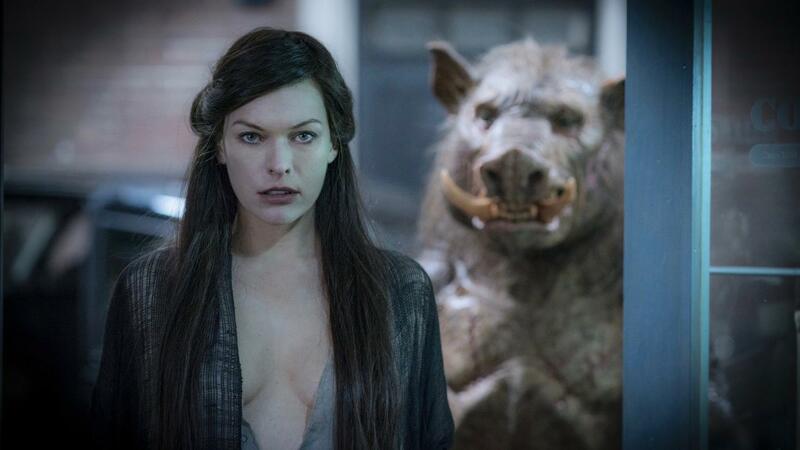 Milla Jovovich as Nimue the Blood Queen. Image courtesy of Lionsgate. Yet even Harbour’s performance cannot save the film that is bewildered with grotesque violence and dreadful imagery, some of which will put even the toughest stomachs to the test. In what can only be described as “Mortal Kombat-esque” the violence proved to be too much at times, even making me put aside my popcorn early on. This is made apparent by horrific imagery that brings a level of ambience, pushing it away from other comic book films. Although not enough scare viewers due to it’s fantasy quality, the imagery still maintains a creepy factor that categorizes the film under supernatural horror. Despite this being a definite result of the filmmaker’s intent, the gruesome violence especially is one that goes even further to neglect average audiences. 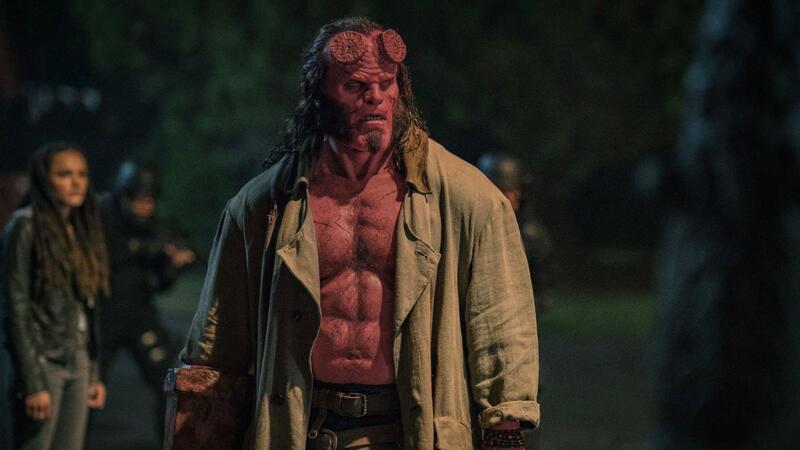 It seems the filmmakers knew from the beginning that “Hellboy” would not even be a moderate success, as the film shows heavy neglects towards regular audience. With a convoluted plot and a lack of backstory, it appears this film was always targeted towards die-hard fans of the character. It’s a film that can be occasionally enjoyed, but even a considerable amount of fanservice cannot save the movie from being a burning disaster. “Hellboy” is now playing in theaters.